Hi, recently, when people fill out the submission form and click submit, the form is not forwarding to my email address. 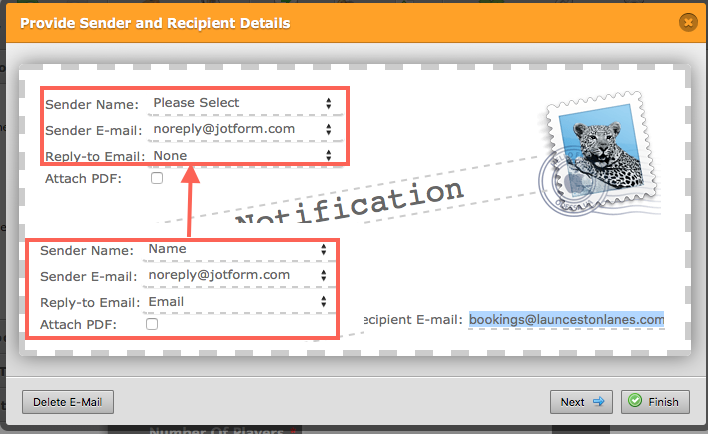 I can see all of the emails in my inbox on Jotform but they are not forwarding to my email address. Reason(s): smtp; 550 sender rejected. Please, check the Amazon SES Developer Guide:http://docs.aws.amazon.com/ses/latest/DeveloperGuide/remove-from-suppressionlist.html. I've removed your mail address from the bounce and unsubscribe lists. To prevent getting you email address back to the amazon suppression list, kindly add the following IP addresses to your mail server's whitelist.